Many of our readers would struggle to name an iconic French dish that isn’t based on (or mightily improved by) something that came from an animal. But according to our Contributing Editor Clotilde Dusoulier, who just released a new cookbook celebrating the bounty of our local markets, an important shift is taking place in France. 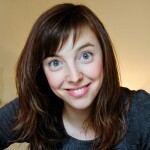 Clotilde Dusoulier is the young Parisienne behind the award-winning food blog Chocolate & Zucchini. Born and raised in Paris, she discovered her passion for food while working in California as a software engineer. 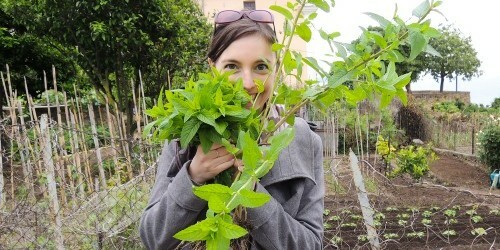 She started her blog in 2003 and its success has allowed her to start a career as a full-time food writer. She is the author of many books, including The French Market Cookbook: Vegetarian Recipes from My Parisian Kitchen (2013), Clotilde’s Edible Adventures in Paris (2008), and Chocolate & Zucchini (2007). She has also helped edit I Know How to Cook (2009), the newly translated bible of French home cooking. She lives in Montmartre. Join us for a food tour! 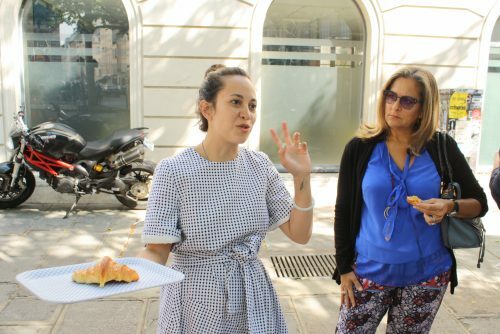 Are these the best food tours in Paris? We think so. So do nearly 2,000 reviewers on TripAdvisor, who have rated us the #1 tours in Paris. And our guests tend to really know their food & wine! 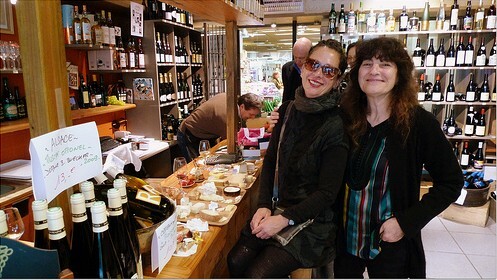 Our guides are true food & wine professionals, and we spend generously at the very best shops. It’s real insight + maximum deliciousness in just over 3 hours, in an intimate small group setting. If you’re curious about our food & wine tours, click here to learn more, or scroll through the calendar below to see all the options through 2019, then book directly online. Tickets are 110€ per person, including all tastings, and tend to sell out weeks in advance. Email us at tasteparisbymouth@gmail.com with any questions. We hope to stuff you soon!